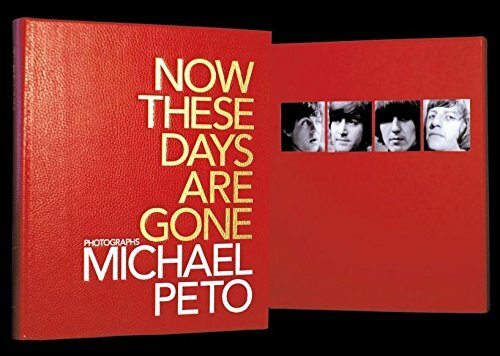 The newest Beatles limited edition from Genesis Publications features over 250 very rare and unpublished images of the Beatles by photojournalist Michael Peto. All of the photos were taken in 1965 during the shooting of Help! The photos show the band working and relaxing, on the set, in the film studio, at their hotel, and at press conferences. The first 350 copies of Now These Days are Gone are signed by Beatles film director Richard Lester, bound in full leather. The rest of the deluxe edition is limited to 2,150 copies. Every copy is numbered.